Despite all the change, growth and innovation over the past fifty years, one area has remained sadly out of date. For many managers and leaders fear is still an accepted leadership style. Here’s the truth: Fear is crippling. Fear causes irrational behavior. Fear makes people do stupid things. “Fear based leadership” can destroy an individual, a department of people or an entire organization. How do you know fear based leadership when you see it? Chances are, you’ve already been subjected to it at some point: blaming without offering reasonable recourse, stealing credit, making unreasonable demands, denying accomplishments, irrationally excluding others from opportunities. The list goes on and on. Bryant outlines the five laws of love-based leadership: loss creates leaders, fear fails, love makes money, vulnerability is power and giving is getting. He shares his story as a young African-American growing up in L.A. , witnessing the Los Angeles Riots and the destruction they caused. He takes us on his journey of creating a very successful antipoverty organization and shares the unlikely ingredient for his success: love. He shows people how to break away from that debilitating fear based leadership style and move to one based on love. In a world obsessed with the question “what do I get?” Bryant shows us that the best way to lead in both our professional and personal lives is to figure out what we have to give others. "What you don’t love, you fear." Unfortunately many leaders today lead from a distance. They don’t really know the people they lead nor do the people know their leader. Real leaders get down in the trenches with their people. They get to know them as real human beings. A real leader shows his/her vulnerability. They are not afraid to show people the chinks in their armor; after all, we are all human and we all have our flaws. Trying to cover them up or being someone you are not is a recipe for failure. As leaders, we all make mistakes. The key is to learn from them, and to let our teams’ learn from them. "Love is central to success in business. In fact, the expression of love in business – that is, creating long-term relationships with your customers, employees, and community based on caring for others and doing good – makes you wealthy." The “Love makes money” section of Love Leadership is about thinking about others more than you think about yourself. It means caring for others; for what they think, what they need, what they want. This is the true mark of a great leader. When you help others to succeed, you will also succeed. They call it, “Servant Leadership”. John Maxwell has written a book about it and many other leadership experts will tell you the same thing – focus on others first. By creating leaders around you, you will succeed in whatever endeavour you are pursuing. We live in a world that is constantly asking “What’s in it for me?” Don’t be that person! Be the person that cares for their people and their community. Be the person that wants to create long lasting relationships with their employees and their customers. Better still, help them find and follow their passions. Every human being has dreams; leaders help their people achieve those dreams. As it turns out, people just want someone to believe in them. They are loyal to that person and they are hard working for that person. Be that person. Leaders give – followers take! "Leaders give – followers take. The more you offer to others, the more they will want to stay with you, share with you, protect you, and support you. Giving inspires loyalty, attracts good people, confers peace of mind and lies at the core of true wealth." I am sure many of you have heard the phrase “Givers Gain”. The more you give, the more you will receive. This isn’t just some phrase from a T-shirt or coffee mug – it really is true! If more people in this world lived by these principles… well you know what it would be like. It’s our job as leaders to keep this vision alive! Leaders need to serve without expecting anything in return – because it is the right thing to do. Doing so means leading with passion and authenticity. How many different jobs have you held in the last 10 years? We live in a society where people are jumping from job to job to job. What do you think they are looking for? People want all sorts of things from their jobs, but not always the things we first think of. Of course, they want money to cover their cost of living, and yes, position and prestige are attractive to some… at first. For most people though, the ideal job would include a sense of acceptance for who they are; a place where they can be constantly learning and growing; a place where their ideas are listened to and sometimes implemented; a place that cares about them as human beings. Do workplaces like this really exist? Google is a great example of how a corporation inspires and develops their people on a daily basis. There are more companies like Google out there but we need more. Lots more. Great leaders fill many of their teams’ professional yearnings with one simple question: “What can I do to help you do your job?” Who are you helping today? I have read many books on leadership and I can honestly say that Love Leadership sits comfortably in my top 10. It is a simple book filled with real life examples. 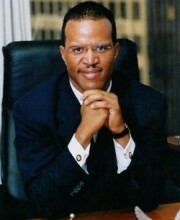 John Hope Bryant shares with us his story; he shows us his faults and imperfections. He was not afraid to tell us that he made many mistakes along the way. Many of you may have looked at the title and thought, “What the heck does LOVE have to do with leadership? Love does not have a place in the workplace.” Love – caring for your people and your organization – has EVERYTHING to do with running a successful business. The more that people can see and embrace that, the happier people will be and businesses everywhere will experience a tremendous amount of success- FAST!!!! Ghandi said “ Be the change you wish to see in the world.” YOU and I can change the world! We just need to let go of our egos… and lead with love.